How the No.1 Dermatologist-recommended Brand Hits STYLO Runway ? I received invitation to attend this party while I was travelling in Taiwan. I was like...Oh Gosh!!! How can I miss this? But...the event date was not possible for me. Miss out this! Super sad though! I still need write it anyway because its the first time I ever heard a Skincare brand collaborate with fashion collection and a famous car brand too. How on earth are they going to create a synergy to this? Interesting isn't? Skincare + Fashion Designer + Car Brand ? 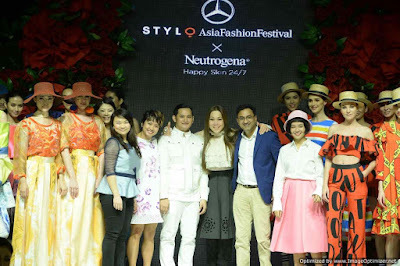 Presenting to you...Neutrogena® Happy Skin 24/7 fashion collection, a series of 30 designs presented at Mercedes-Benz STYLO AsiaFashionFestival (MBSTYLOAFF) 2017 which happened on 3rd May 2017. Created by our young and creative local fashion designers Kittie Yiyi and Hazzer Wan Lee,who don't need introduction.The Happy Skin 24/7 collection interprets the happy mood that one exudes with healthy, great-looking skin. Happy Skin 24/7 with Neutrogena®. Neutrogena® made a fashion debut a Mercedes-Benz STYLO Asia Fashion Festival to demonstrate the inner-joy of healthy, great-looking skin as a result of using Neutrogena® skincare. 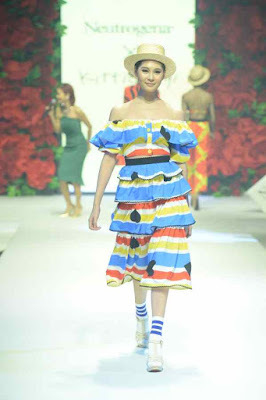 Most of the fashion collection on that day was inspired by the concept of Happy Skin! No doubt women and fashion always goes hand in hand. Neutrogena® express this through their fashion collection. Happy Skin is something that lasts through all seasons – it’s definitely not a fleeting trend. Oh yeay! I am totally agree to this statement! Neutrogena® hope to show through local designer’s fashion collection that it’s possible to keep skin healthy with Neutrogena®, look amazing and stay happy all the time! How the Mercedes-Benz associate to this event ? Guess its all about prestige and elegance. That's how to describe and pampering Women! I agree that it is an odd combo of skincare, fashion and cars. Interestingly, they managed to pull the event off successfully. Waaa nice fashion show. I never try Neutrogene before this. I would love to try this product. nice event!! !i always use their sunblock!! !Nice to use!! That's a very nice fashion show. I am a Neutrogena user during my early teens and had greatly helped me maintain a clear skin. Those are indeed gorgeous pieces to compliment radiant skin. hehe. Currently my official skincare at the moment. 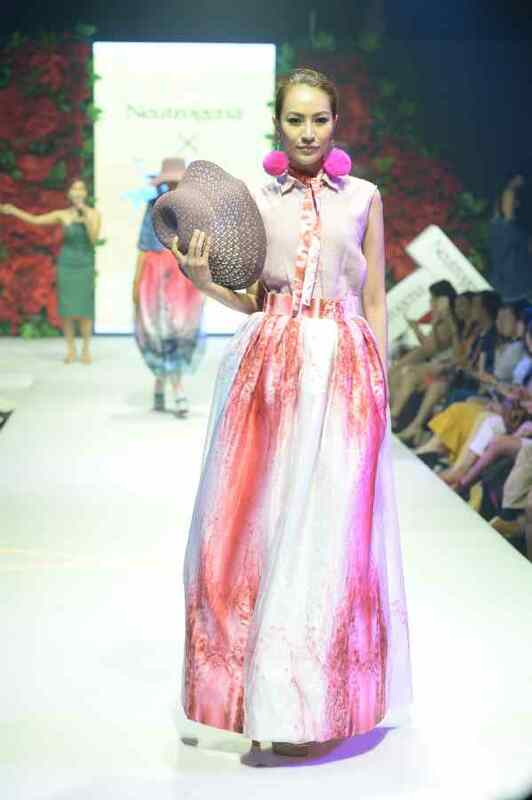 Gorgeous collections, love all the outfit on the runways that night. 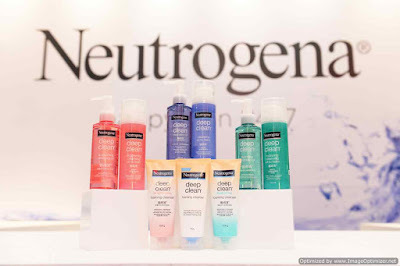 Neutrogena has a wonderful skincare range and its lovely that they did a fashion runway too. The event looks like it was a hit! Cool ...! I like the 'Happy Skin' theme. It's a great way to get the message across.